Vitamin C benefits health and this is my story of how I used vitamin C to nurse me back to health. 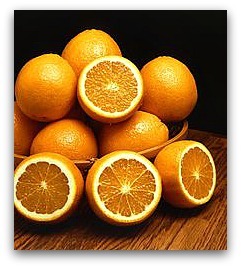 Read more about vitamin C benefits. When I was staying in a place in Thailand called Aonang a few years ago, I got very sick. I couldn't keep any food or drink down at all, I vomited any time, I tried to eat por drink something. I think it may have been some kind of food poisoning. Anyway I decided not to try and drink or eat anything for about a day, I still continued to throw up though. The next day I decided to buy some good quality orange juice, with orange bits still in it. I took very small sips throughout the day and evening. I had stopped throwing up but still did not feel I could eat anything. I did feel some taste coming back into my mouth though. The next day I decided to switch to pomegranate juice and just as I did with the orange juice I decided to take small sips but this time I was also able to take small sips of water. I alternated between the pomegranate juice and orange juice for the next three days. By the next day I was feeling much better and was ready to start eating food. I saw a vendor selling some type of chicken soup, the vendor offered me some spices to go with the soup, I wasn't sure which one to pick, the vendor didn't speak any English. Some Thai guys with limited English came along and explained about the spices, I chose a red spice to put in the soup it was very hot but went well with the soup. I sat with them and talked about my illness and about football and England. The soup was fantastic and I felt did me a lot of good. The next day I felt healthy, I bought a whole cooked chicken from a vendor and ate it all, also had a orange juice too. I'm not advising anybody to do what I did, it was my choice and I chose to do it that way because I did not want to see a doctor or go to a pharmacist, I just listened to what my body wanted and I believed it worked.